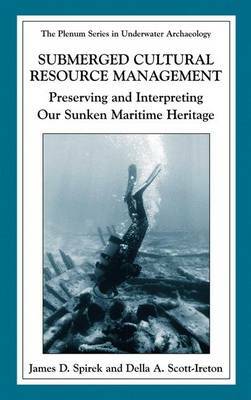 This vital book is a collection on the various ways archaeologists and resource managers have devised to make available and interpret submerged cultural resources for the public, such as underwater archaeological preserves, shipwreck trails, and land-based interpretive media and literature. This volume is an invaluable resource to underwater archaeologists, cultural and heritage resource managers, museum and heritage educators and those studying these professions. "James Spirek and Della Scott-Ireton have compiled and edited what is to my knowledge the first published source describing the scope and breadth of today's underwater heritage trails and preserves. Each chapter reflects both the strengths and weaknesses of various strategies that have been attempted for the public interpretation and preservation of historic sites in aquatic environments. Not only will this book serve to document the progress of those strategies, but it will offer new directions for cultural resource management on future frontiers."